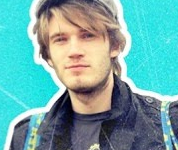 YouTube phenomenon PewDiePie has launched his own talent network backed by Disney-owned MCN Maker Studios. Revelmode will initially feature a handful of YouTubers – selected by Felix Kjellberg, aka PewDiePie – who have a shared passion for gaming and pop culture. The eight initial creator partners include Kwebbelkop,EmmaBlackery, Dodger, CutiePieMarzia, Markiplier and CinnamonToastKen with more members to be added in the future. The network will focus on creating original content, game development, philanthropy, commercial partnerships, and merchandise for fans and future creators. “Revelmode is me and a bunch of really awesome YouTubers coming together as a group to do awesome things,” said Kjellberg in a video announcing the launch. Kjellberg is one of the most popular video makers on YouTube with his PewDiePie channel now claiming 41.6 million subscribers and a total of 10.9 billion views to date.